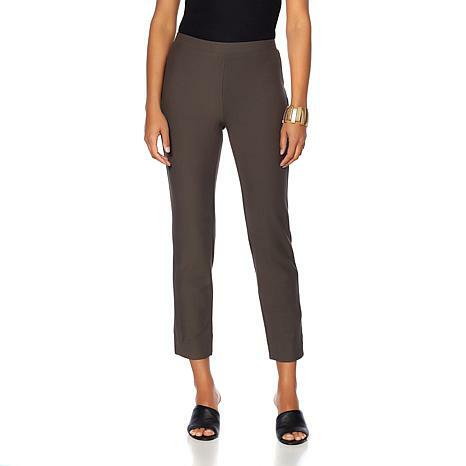 The perfect pant for endless wear. This comfortable legging upgrade gives you the polish you need to pull off attire a little more sophisticated. Try it with blouses and layered tops for incredible ease and effortlessness. Marla, please never stop making these ankle and full length pants. I am collecting all colors slowly. Finally, I can wear pants and feel lovely! These are the only pants I wear anymore in all seasons! My entire wardrobe is turning into Marla only. Love you, Marla! My new favorite pants! I can wear a 12 or 14 and purchased the 12 and they fit perfect. Had to order two more pair( black and canvas) after wearing these comfortable, flattering paints every day last summer. The ankle length is just perfect. Love, love, love these pants!